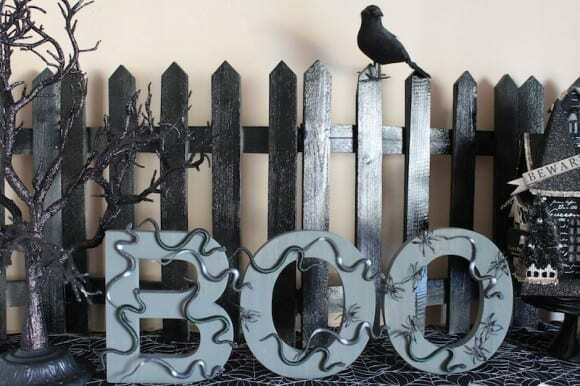 Want to add a touch of "spooky" to your Halloween decor this year? 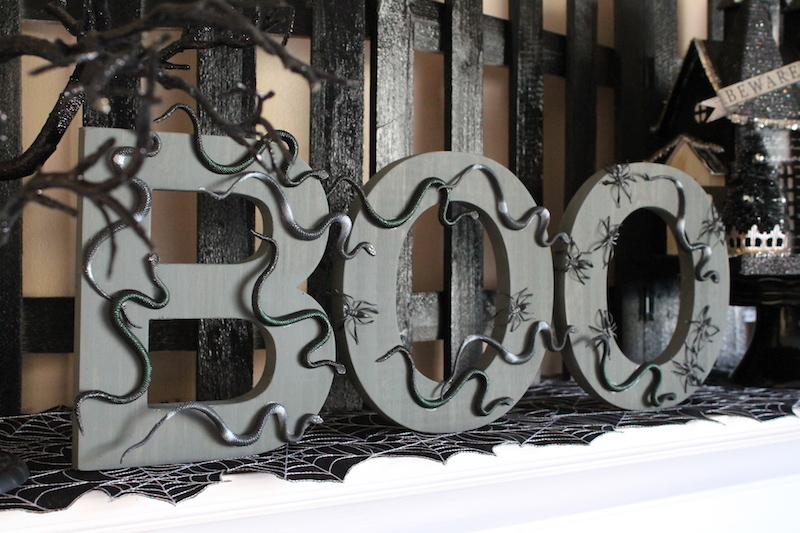 How about checking out this snakes and spiders creepy Halloween "BOO" sign DIY Laura from Laura's Little Party created for us. I love it because it makes me shudder. I'm terrified of snakes and spiders. This would look great on a mantle, in a window, or on a dessert table to set your macabre mood. I can picture these snakes and spiders crawling all over me and it freaks me out! 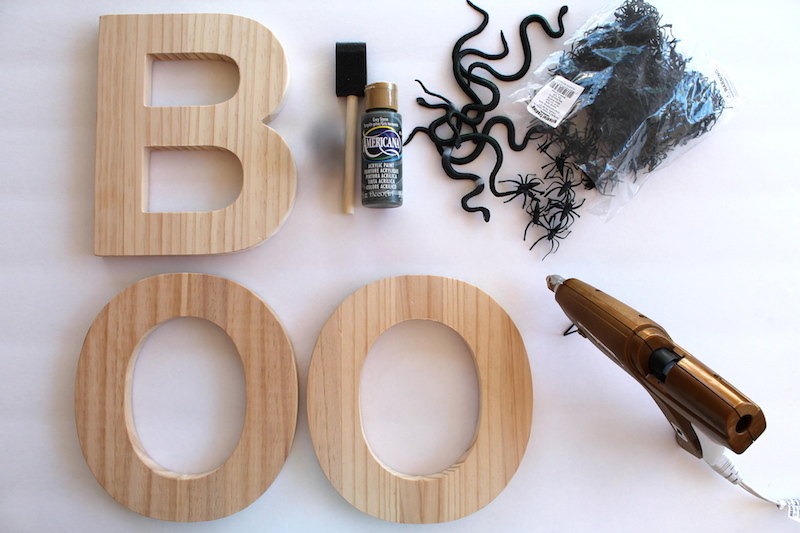 I found wooden letters at Target, for less than $4 each. 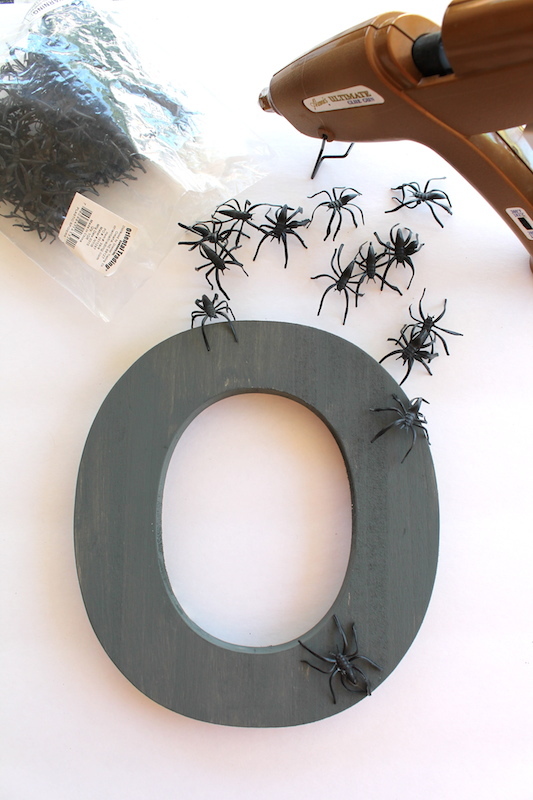 I used dark grey paint, rubber snakes, and plastic spiders all from Oriental Trading! First I painted the letters a dark gray color. 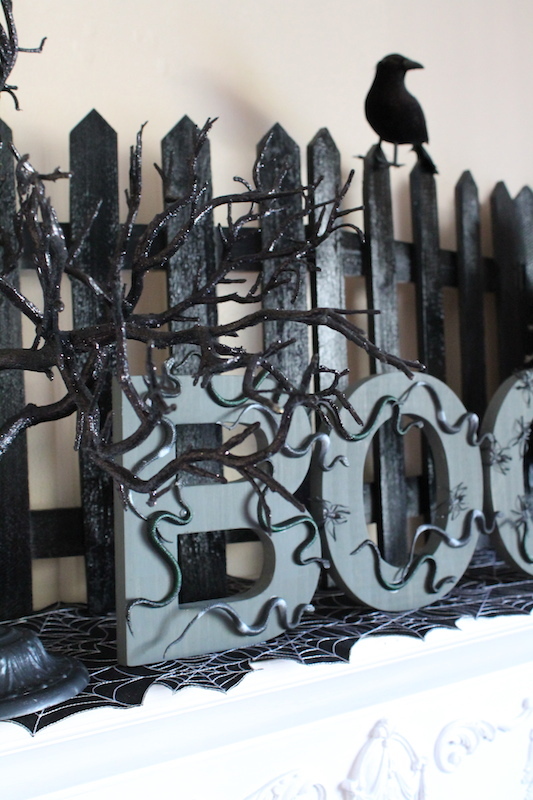 Once the paint dried, I was ready to add on all the spooky-fun touches. 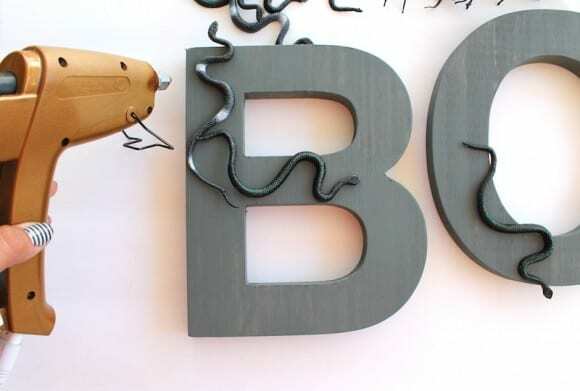 First I arranged the snakes on top of the wooden letters. I wanted the snakes to look like they were slithering across the letters, from left to right. Then I attach them with my hot glue gun. Next, I added the plastic spiders. 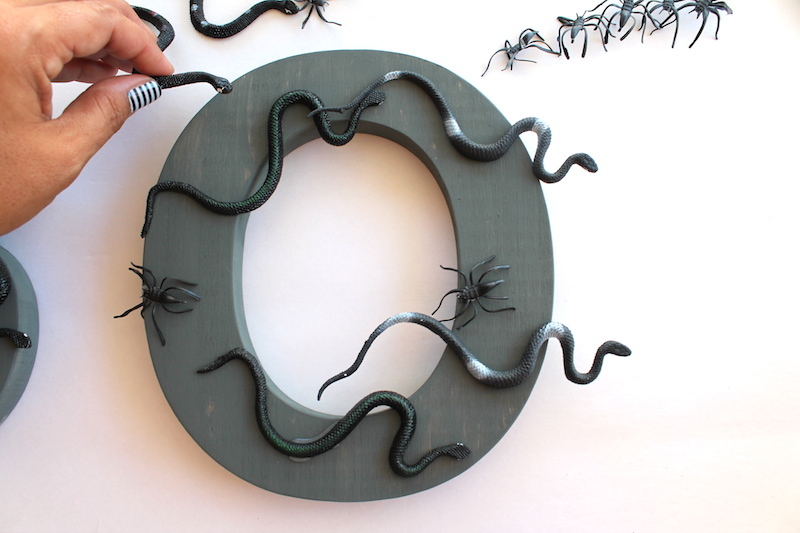 I wanted it to look as though the spiders were walking across the letters, to meet up with the snakes. I thought they both added the right amount of “spooky." 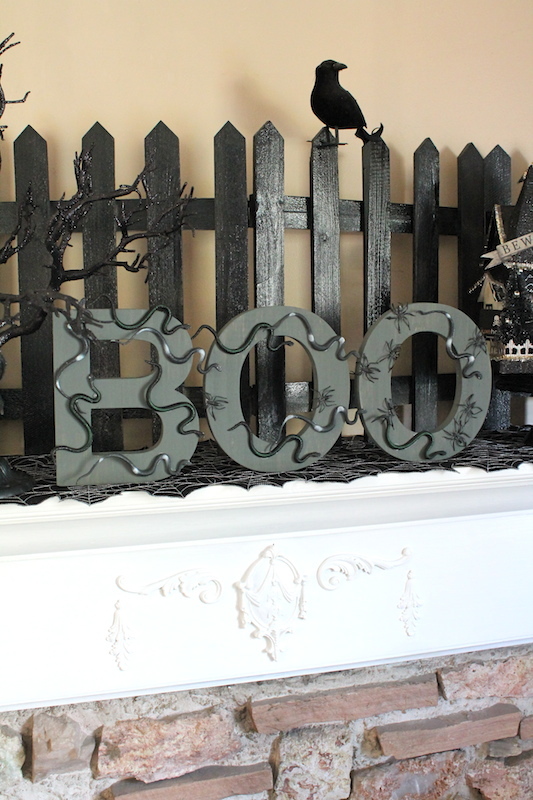 Next, I stood the letters up, and carefully placed them next to one another on my Halloween mantle. 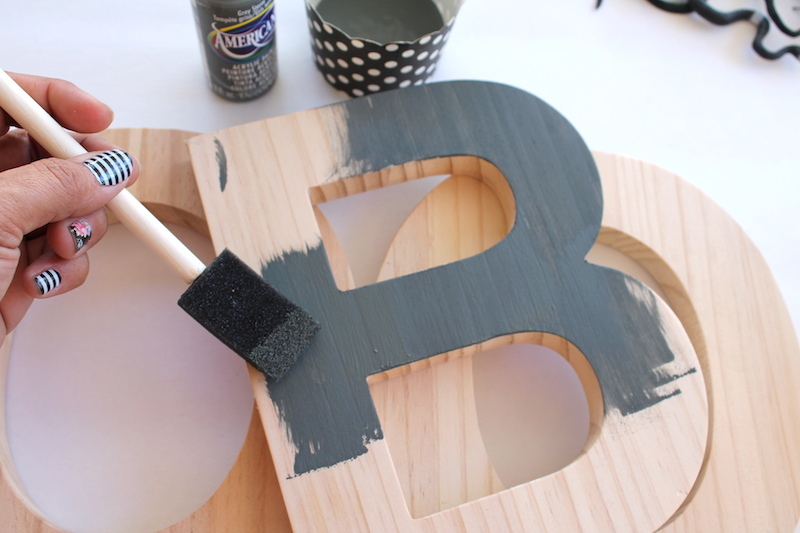 The wooden letters turned out so creepy, I loved it. They added a fun touch to my Halloween decor, and I the best part was that they were so easy to make. 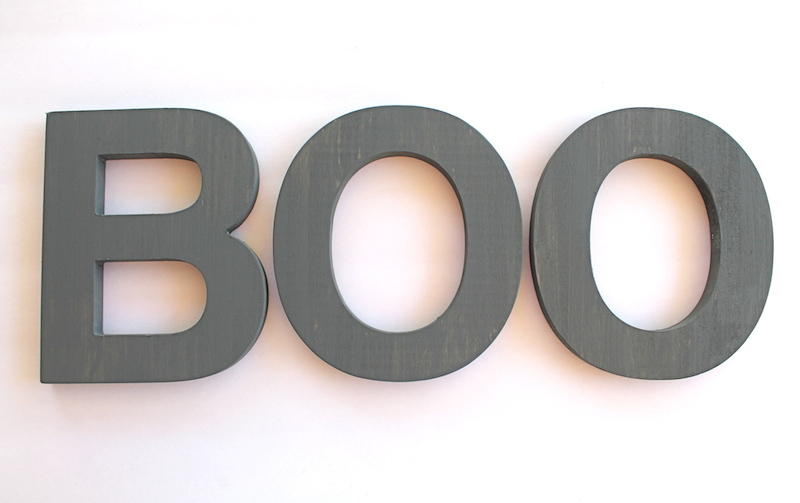 Are you ready to make your own nightmare-inducing BOO sign?